In this guide, we’ll share 11 reasons why your emails go to spam, and how to make sure they don’t. Exclusive Bonus: Download the free Email Deliverability Checklist to make sure your emails always reach the inbox! Email has an inbox placement rate of about 85%. That’s pretty darn good! But, that still means that roughly one out of every five emails you send either gets filtered as spam or blocked entirely. To fight this, you first need to know why it happens, so let’s talk about that. One of the big reasons that your emails go to spam is that spam filtering has become more rigorous. Webmail providers are simply cracking down on spam. However, the filters aren’t 100% accurate, so sometimes legit emails go to spam too. Subscriber engagement plays a huge role in email deliverability. That’s because webmail providers look at your engagement levels and recipient behavior when deciding which emails make it to the inbox. But not your emails. Not anymore. We’ll explain all of these factors in detail so you can avoid getting flagged and stop your emails from going to spam. Ready to learn why your emails are landing in the spam folder, and how you can keep it from happening? Here we go! There are many things that go into whether or not your emails get delivered to the inbox. Let’s dive into the 11 reasons why your emails aren’t getting past the spam filters. The #1 rule of email marketing is to get permission to email first. Never buy a list of email addresses, or you risk violating the CAN-SPAM Act and may be subject to penalties of up to $16,000. To get permission, you’ll need an optin form on your site that makes it perfectly clear that your visitors are subscribing to your email list. Download our 63-point optin form checklist to make sure your optin form is set up properly. Also, don’t manually add emails that you got off of business cards collected at a conference to your email list. While you may think that they would appreciate your newsletter, sending emails to them violates the CAN-SPAM Act because they did not give you permission. You can – and should! – send those leads emails, though! Follow up with a separate drip campaign, personal email, or autoresponder series designed just for those leads and give them the chance to optin to your newsletter. Even if you never send spam yourself, your emails could get flagged as spam if your IP address was used by someone else for spam. For example, if you send your campaigns through an email marketing service, your email is delivered through their servers. So if even one other customer sends spam, it could affect your deliverability as well. Note, however, that every email marketing service we recommend is vigilant about keeping their sending reputation intact, and they have very strict procedures and regulations in place to prevent this type of thing. In general, stick to a reputable email service provider and you should be fine. Some providers we recommend are Constant Contact, Drip, and SendinBlue. Top webmail providers have stated that they look at how many emails are opened and how many are deleted without being opened as a factor in their spam filtering decisions. So if you have low open rates or read rates, your emails are at higher risk of being flagged as spam. And, let’s just say that everyone’s read rates can stand to be a little higher. The average read rate across industries was 24% in 2018. To increase your open rates, send your emails at the right time, perfect your subject lines, segment your list, and keep your list fresh. For more detailed tips and 6 more ways to increase your open rates, read our post on 10 easy ways to improve your email open rate. Making your read rates better means writing better email copy. The second most common reason that emails never reach the inbox is spam complaints. In 2018, the average overall complaint rate was 0.39 percent, nearly double mailbox providers’ recommended 0.2 percent. Every time a subscriber reports an email as spam, whether or not the email is actually spam, the complaint gets recorded by the mailbox provider. Once the complaints exceed a certain threshold, all future campaigns skip the inbox and get sent directly to the spam folder. So why would a subscriber flag your email as spam if it isn’t spam? Well, the most likely reason is that they simply don’t remember you. Even though they gave you permission to email them, they don’t remember doing it, so they think you are sending them spam. To prevent this from happening, make sure that the branding in your emails is memorable, and matches the branding on your website. This includes any images, colors, typography, voice, etc. Also, make sure the “from” line is from a name they will recognize. If your subscribers don’t immediately remember you, you could get spam complaints, so keep that in mind. Also, make sure to include an easily accessible “unsubscribe” link so that they can opt out if they no longer want your emails. The fifth item on our list (and the third most common cause of low inbox placement) is low mailbox usage. In their spam filtering algorithms, mailbox providers look at the ratio of active to inactive email accounts on your list. An inactive email account is an account that hasn’t been used for a long time or is very rarely ever used. If you are mailing to a large number of addresses that appear to be nearing abandonment, that’s a red flag to spam filters. To prevent this, clean up your email list periodically of any subscribers who haven’t engaged with your campaigns in a while. Your email service provider may also include a feature to automatically purge any emails from your list that look like abandoned addresses. As the CAN-SPAM act states, it is actually against the law to intentionally mislead someone with your subject line in order to induce them to view the message. 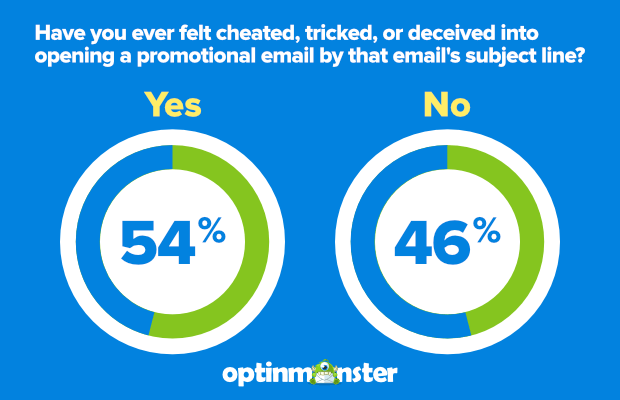 In a survey conducted by Litmus and Fluent, over 50% of participants stated that they have felt cheated, tricked or deceived into opening a promotional email by that email’s subject line. Did I leave my jacket at your place? This type of subject line can be used as a trick to make it look like they know you. RE: CURRENTLY IN OFFICE is doubly sneaky because it can be mistaken for a reply to your email or a work-related email. Urgent – Update your information. If something says “urgent,” it had better be urgent. Thanks for your order! It’s super poor form to use a transactional subject line if the email isn’t actually transactional. You’re so right. But there are also some gray areas you should avoid, too. Some of your subscribers may be amused but others not so much. Is it worth the risk? It’s also against the CAN-SPAM ACT to mislead anyone with your “from,” “to,” “reply-to,” and routing information. For example, if you made your email look like it was from the President, that would be illegal. Yes, an extreme example, but you get the point. As a best practice, make sure you include a name in the “from” field that your subscribers are likely to remember, and don’t change it too often. It could be the name of an individual, your company name, or a combination of the two (e.g. “Syed from OptinMonster”). Whichever you choose, go for memorability and consistency. You legally must include your valid, physical address. That can be your current street address, a post office box that has been registered with the U.S. Postal Service, or a private mailbox registered with a commercial mail receiving agency established under Postal Service regulations. If you are a small business owner and you work out of your home, you should definitely get a P.O. box for business purposes so you don’t have to broadcast your home address. You can’t build a house without doors and you can’t send emails without an unsubscribe link. No matter how valuable you think your email campaigns are, you still need to give your subscribers a way out. If you don’t, you could get spam complaints (at best), or slapped with thousands of dollars in fines. At the bottom of your emails, include an unsubscribe link or a similar opt-out feature. Also, when someone asks to be removed, you need to process that request within 10 business days. You can’t charge a fee to remove them, ask for any information other than their email address, or make them do anything other than sending a reply email or visiting a single page on your website. For example, you can’t make subscribers fill out a form that explains why they are opting out before they can unsubscribe. If you do want to survey your unsubscribers, show them the survey right after they have successfully opted out or in the unsubscribe confirmation email, not before. Never sell or transfer the email addresses of your unsubscribers to another mailing list. Your email provider may have a built-in tool that checks your emails for spam trigger words before sending it. 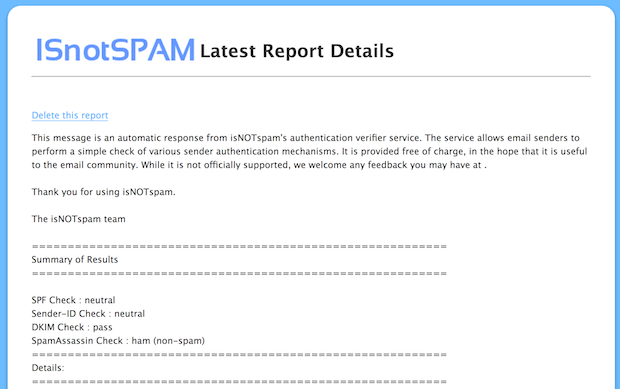 Alternatively, you can also use ISnotSPAM, a free tool which scores your emails for deliverability and to see if they’re likely to trigger spam filters. Just send your email to the email address displayed on their website, and then click on the View Your Report button. The report will show you the criteria they looked at, along with your score and whether you passed or failed the test. For a list of spam trigger words, check out this comprehensive list. If you are sending text-only emails, you don’t have to worry about this. However, you may want to send HTML emails as well as a text-only version. 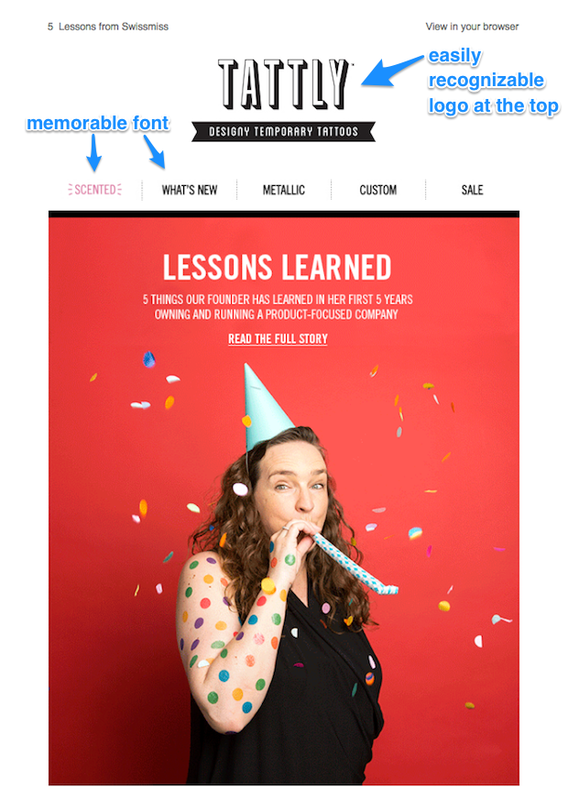 That way, you can include some branding elements that make your emails more memorable (which helps with engagement). We’ve actually tested plain text versus branded emails with our email list and found that the branded emails actually get higher engagement. So it’s definitely a good thing to try with your own list. Use a maximum width of 600-800 pixels. This will make them look good in most email clients. Keep your HTML code as simple and clean as possible. 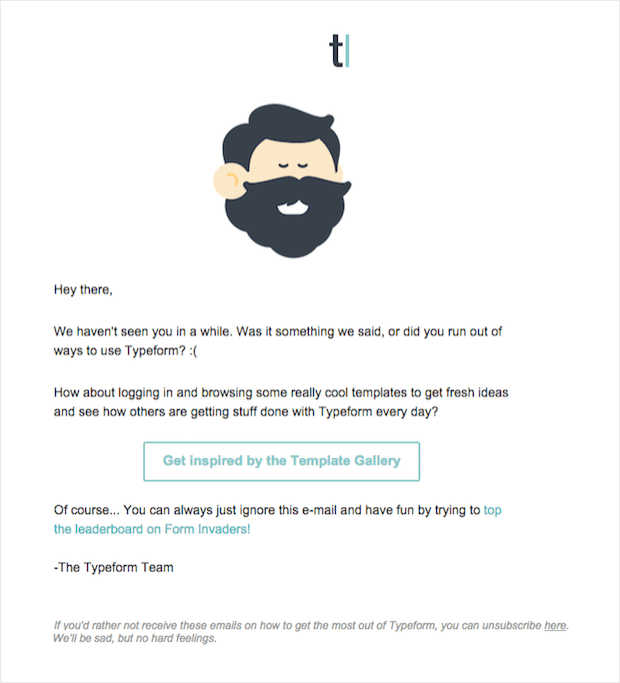 If you are using a template from a reputable email service provider, you should be OK.
Keep your image-to-text ratio low. Images are OK to include in your email marketing campaigns, but never send image-only emails with no text. Optimize your images for email by compressing them first. Don’t use super high-resolution images or other media with a large file size. Don’t use obscure fonts. Stick with fonts that work across platforms, like Arial, Verdana, Georgia and Times New Roman. Optimize for mobile. Make sure your emails are readable and load quickly on mobile devices, and that your links can be pressed easily with a thumb. See how simple it is? We include our logo at the top for brand recognition, but most of the email is text. 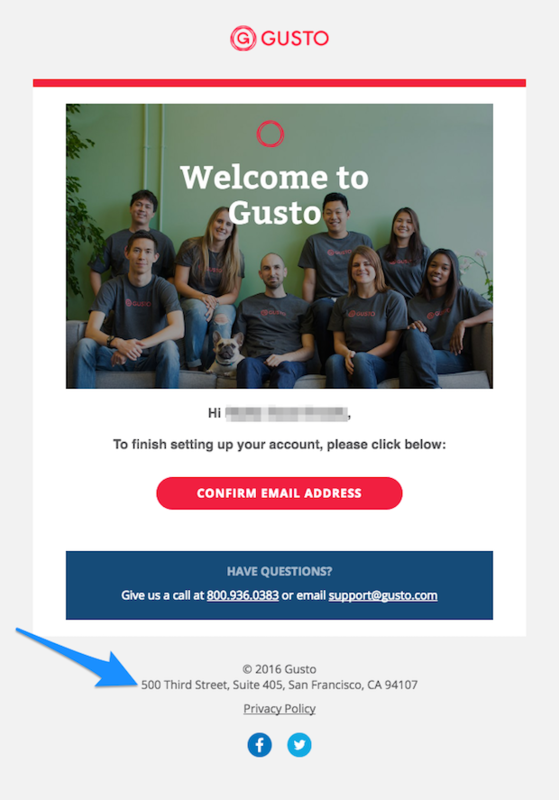 We also use a simple visual cue, the gray box at the bottom, to highlight the “You are receiving this email because…” area. This makes the email scannable and reminds subscribers about the benefits of being on our email list. Now you know all about the top 11 reasons your emails go to spam. Next, we’ll show you 3 simple steps to keep it from happening. When you send welcome emails to your new subscribers, tell them to whitelist your emails. This is a simple action that helps in a couple of ways. For starters, subscribers can be sure that they’ll keep receiving the emails they signed up for. Also, having more people whitelist your emails will help to increase your sender reputation, and your inbox delivery rates will be higher overall. You can get your own personalized set of whitelisting instructions from the Institute for Social Internet Public Policy for free. Even if your email didn’t go to spam, Gmail users may still have trouble finding your emails because they have been filtered into other tabs like Social or Promotions. First, look for the email inside the Promotions tab. Then click, drag and drop it into the Primary tab. Now, your Gmail subscribers will always receive your emails to their primary inbox. Your emails are important to your subscribers, but they probably also get a lot of other emails, too. Help them to find your emails easily by teaching them how to organize your emails into a special folder. Also, remember that engagement is a big factor that can affect your inbox placement rates. Helping your subscribers keep track of all your future emails will help keep your emails out of spam for good. Create a special folder where you can archive emails after you have read them. Don’t set up filters to automatically direct emails into these folders or you may miss something. After you’ve finished reading an email, manually move it to the folder. Still worried that your emails might go to spam? If you follow all of the above tips, and you’re still having a problem with emails getting sent to spam, here are some spam checkers that you can use to test your emails for issues. Scans your emails by all the major spam filters before sending, to make sure that they pass. Verifies that your email authentication, such as DKIM, DomainKeys, SenderID, and Sender Policy Framework, is set up properly. Gives you a spam score, which advises you on why you got that score and how to improve it. 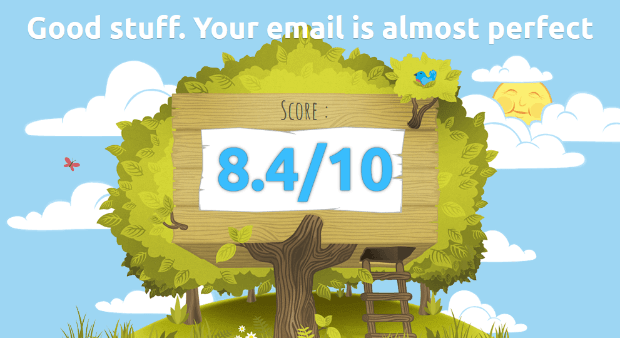 Mail-Tester is a free spam checking tool that gives you an easy-to-understand score out of 10 on a scale of spammyness. You’ll have to check each email manually, but it checks to see if you’re blacklisted, DKIM, and the quality of your message, as well as doing a SpamAssassin check. IsNotSpam.com is a free spam checker that you can try if you don’t have the budget for Litmus. 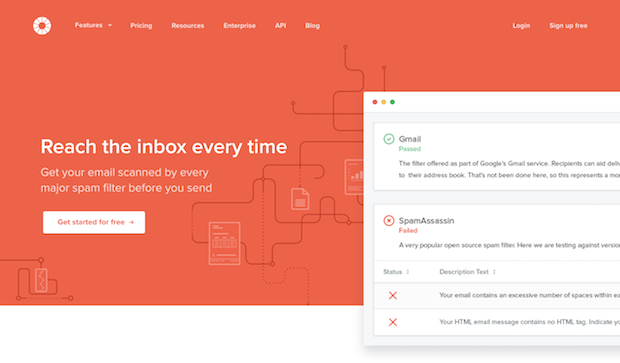 You’ll have to check each mail manually, and it doesn’t have a comprehensive testing capability, but it will check your Sender Policy Framework, SenderID and DKIM to make sure they are set up properly, and it will do a SpamAssassin check to score your email content. That’s it! We hope this post helped you to learn 11 reasons why your emails go in the spam box, and how to avoid spam filters. Now it’s your turn. Go ahead and follow the steps outlined above to avoid emails going to spam. You may also want to check out 7 Ways to Engage Your Email Subscribers from the Moment They Opt In. If you enjoyed this post, please consider following us on YouTube, Facebook, and Twitter. Nicely Explained Mary! Love to know about these reasons here, it will be very helpful to me. Thanks s lot. Your blog timing is perfect, Mary. Reading through your tips helped me solve the problem of why my previous emails were not arriving. The acronym was too close to another popular one. Business owners who focus on email marketing may not understand why emails don’t arrive in a recipient’s inbox. I’m wondering if the CAN-SPAM act affects anyone emailing people in Canada, as well as doing business here. Thank you for your wealth of info! Thanks Mary – I sadly contacted CASL this week to report an out of control email incident. On the plus – I’ve been telling others about the amazing blogs you and the guest authors write on this site. Not only are your blogs well researched, but the tips shared are useful, relevant and doable. My instinct is that your target audience would really appreciate reading and learning from these blogs. Such a wonderful list of eye opening list. and found these tips useful for my mailchimp campaigns. I am so glad you learned a lot from this post, Donfelix. Congratulations on launching your new blog and email list– so exciting!! Thanks for sharing it Mary. It really taught me a good lesson. CAN SPAM does not require expressed opt-in as you state in the first section. While it is definitely good to get it, CAN SPAM operates on a “have not opted out” philosophy. CASL however you need explicit opt-in to a specific email stream. If I am wrong, please point me to where it says that exactly so I can change things asap! You are correct, the CAN-SPAM Act doesn’t require senders to get the recipients’ consent first, but that is a very bad practice that we absolutely do NOT recommend. You also risk violating the CAN-SPAM Act if the emails you obtained were harvested (which is illegal), or if some of the senders had already opted out to receiving emails from your company. You can read about the risks of buying email lists here on the FTC’s website. Again, we strongly advocate permission based marketing and urge you to NEVER purchase an email list! Great article, Mary. Added it to our resource guide on email marketing. Appreciate that, Kayode. 🙂 You might also enjoy our guide to running an email marketing campaign. I’ve also heard that you shouldn’t send out “mass” emails. If that’s the case, should my emails be sent out in increments of what?? 50? The best approach is to use a reputable email service provider so you avoid deliverability issues when sending to a large list, Maria. WPBeginner’s list of the best email marketing services is a good starting point. If someone replies to my marketing email, does that mean future emails from same address will be recognized as non-spam emails? 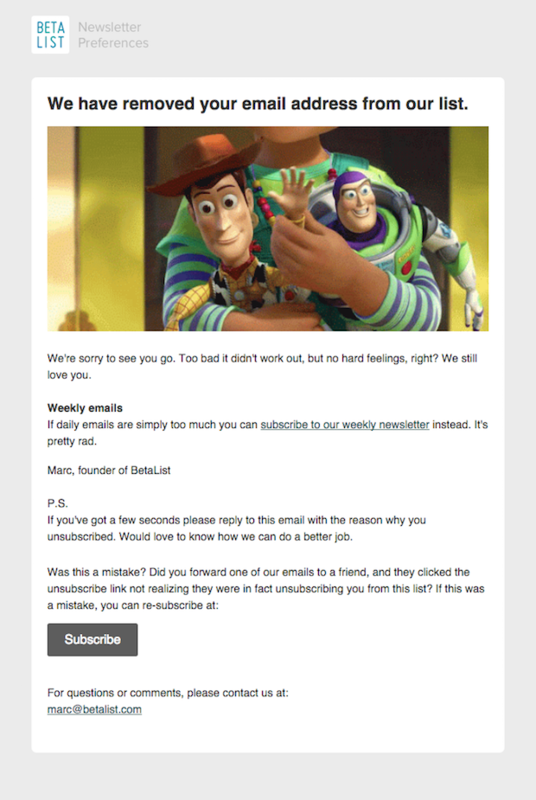 Subscriber engagement is improves your sender reputation, Joe, but there’s no absolute guarantee. The best bet is to ask subscribers to whitelist your emails, as suggested in our first tip, so your emails get delivered. And here are some tips to boost email deliverability.